The online version of JAINA's publication. Here you can find our publications from 2007 to the most current issue to read about current Jain events and explore various informative articles. 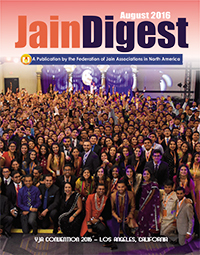 JAINA started publishing the Jain Digest in 1985, and with the support of readers like you, we have continued our growth in reaching larger populations. We hope you enjoy our publications! Issues from 2007 - 2017! 5. Shrimad Rajchandraji's "Shri Atmasiddhi Shastra"
7. Shrimad Rajchandraji's Letter - "Patranks"
Get Involved with the Jain Digest! It is because of the generous financial support from members like you that helps to ensure the sustainability of Jain Digest for years to come. If you have not donated already, please take a moment to do so. 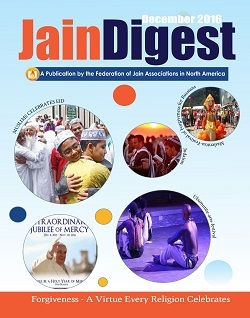 Our dedicated and active volunteers make the creation and distribution of Jain Digest possible. Contribute your skills in producing the next issue and joining our team, please take a moment and sign up for volunteering.